Today I have reported two more very deep potholes that have appeared on the roads in and around Unsworth. 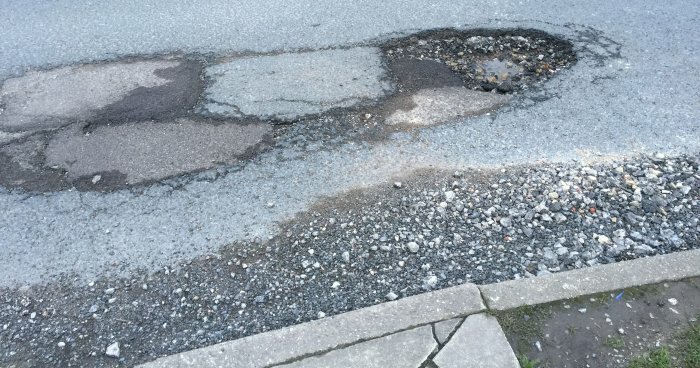 A pothole I reported on Randale Drive at the junction with Sandown Road last year has re-appeared (primarily due to a poor repair the last time around) and so this has been reported again to Bury Council. The reference for this case is: 2698940.